Jared Unzipped: How To Make Slime! It's gross! It's nasty! It's basically ghost crap! That's right... 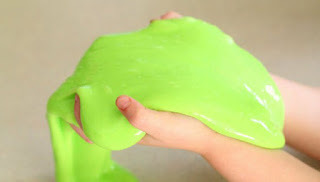 I'm bringing you an excellent recipe to make your own ghastly batch of SLIME! Here's what you'll need. Mix your two solutions separately. Stir both very well before combing. Once you do combine the two solutions together, you'll have a wet, sloppy mess that sort of looks like slime. Make sure to drain off the excess water from the mixture. Kneed the slime mix until it stops sticking to your hands. I suggest using neon food coloring to make your slime really stand out. Play with the slime in a dark room with a black light to make it eerily glow! Or, make your slime shiny by adding glitter to the mixture. Ta-da! You've got your very own handful of slime. If you want to store it for further use, be sure to keep it in an air-tight ziplock bag. 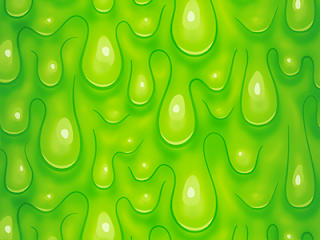 If the slime becomes too dry, you can add a few drops of water to bring it back to life. Make a bunch and use it for a slime-drenched Halloween party!